Trousseaux; pronounced ‘true-sew’ means ‘little bits’ in French. We began in 2001 as a collection of antique little bits carefully chosen in England and France by owner, Karen Lang. After eight years of teaching English at Lyons Township High School, Karen changed directions and decided to pursue a lifelong interest in European antiques and design. Presently Trousseaux is a luxury boutique filled with clothing, jewelry and objects for the home…everything hand selected for its quality, its beauty or its ability to inspire. 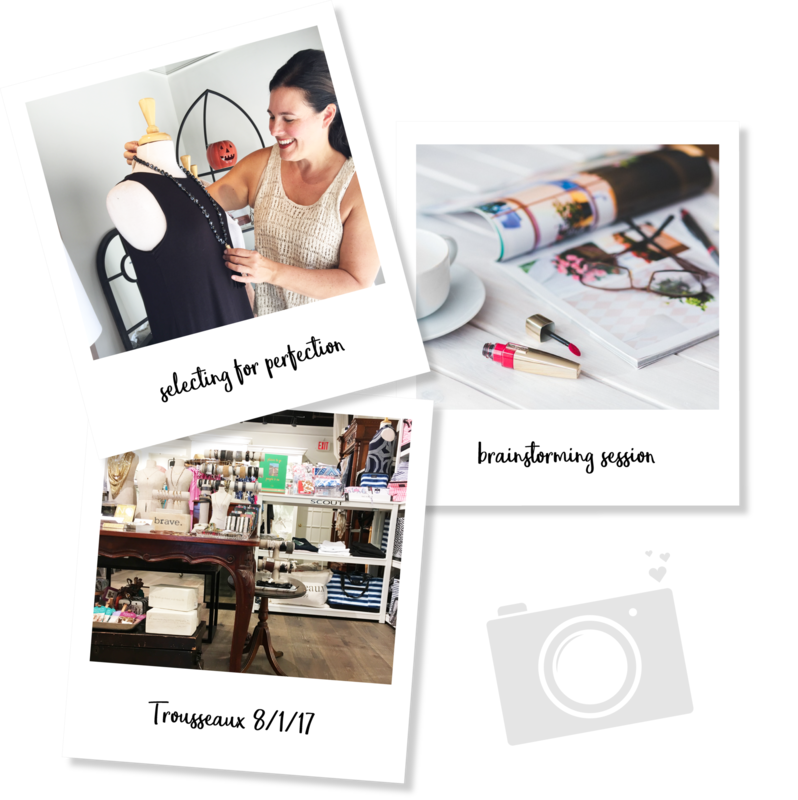 Outside of the store, Karen is a wife, mother, and entrepreneur who has added two more businesses to her list of accomplishments. She will be the first to tell you that Trousseaux is her vision of a beautiful life….which celebrates life's journey. Trousseaux is a pleasant destination where customer service and appreciation meets 21st Century fashion and design. We truly do want to help you find the perfect gift in a cheerful and beautiful environment...even if it’s for yourself!